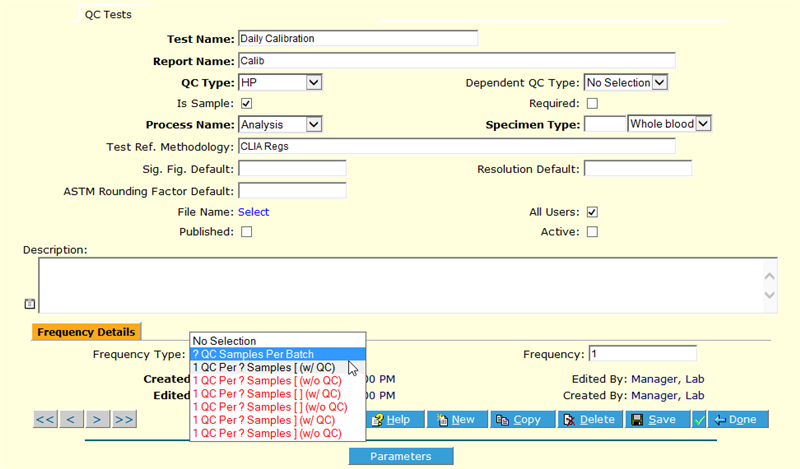 [Template fetch failed for https://www.limspec.com/index.php/Template:Specification_482098_Distinguish_QA_and_QC_samples?action=render: HTTP 500]Quality Control (QC) or calibration specimens are easily identified in HealthCloudPOL by noting them as such in the Tests field. This field also appears on the (barcoded) label, should you want to use it. You also have the ability to create QC tests either during initial test setup or any time thereafter, which can be assigned to any specimens at any time – or according to a set protocol (x number of QC samples per x number of normal samples, etc.). Instructions on doing that are included in the Test Management section of the HealthCloud Physician Office LIS manual. Like all results, QC results are stored in the LIS until/unless specifically removed (this requires a Standard Edition subscription and Help Desk ticket). 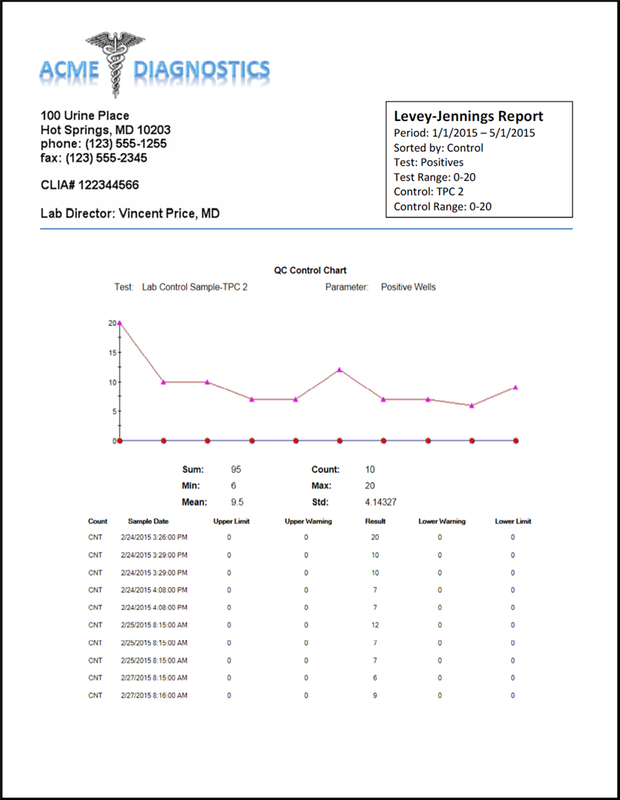 Additionally, Levey-Jennings QC charting allows for maintaining histories and identifying anomalies. Overall Quality Assurance is additionally supported through the storage of SOPs/methods, CLIA, HIPAA and other regulations and standards and (optional) training tracking in the LIS. Complete directions on usage of this feature are included in the ‘’’HealthCloudPOL’’’ manual’s Control charts (Levey-Jennings) section of the Administrator’s Guide.